It would have been too long if I also made the cake, so I cheated allright. And bought a ready made cake. At least it was fresh,… and already cooled down. 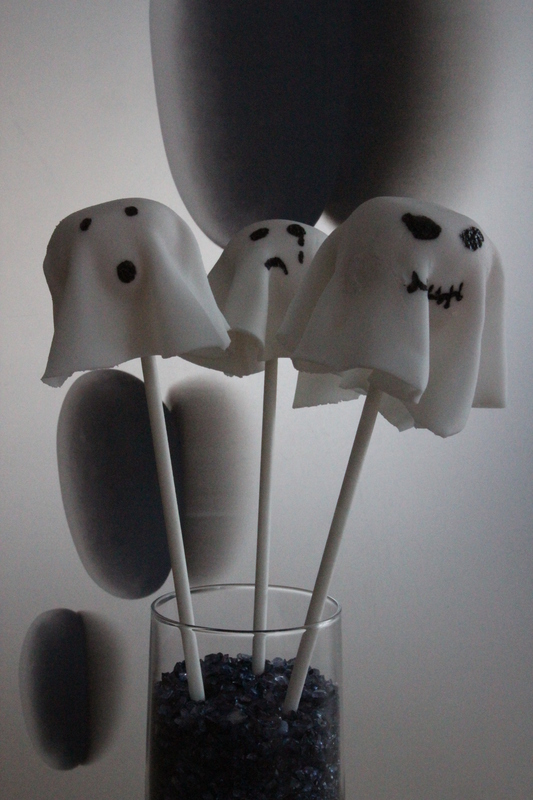 I just hat to crumble it and add some cream cheese frosting (that one I DID myself) to create some cake balls, put them on a stick and fashion them to be ghoooooooostssss… Spooky. 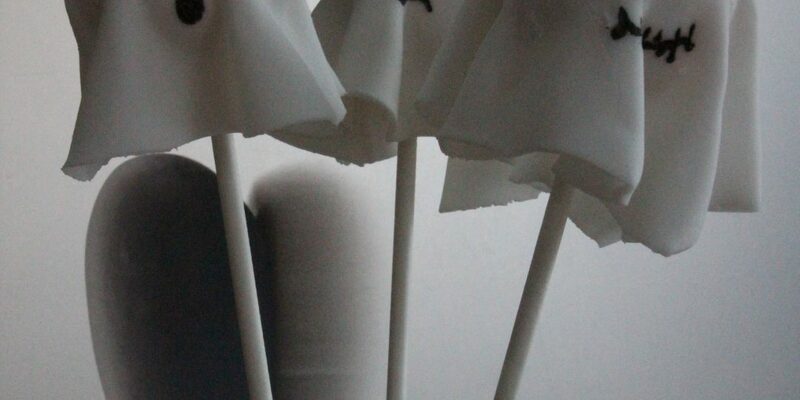 roll out the fondant, cut out some 12cm disks and then draw the ghost’s face and put them on the cake pops and serve.